Puzzle platformers are dime a dozen, and that's putting it mildly. Because these games are relatively easy to construct from a technical point of view, while allowing developers to be creative in the areas that count (art direction, narrative, level design), they're the ideal choice for indie or junior developers when starting out. The problem is that we've played so many of them now, that if we're being honest, we're quite over the genre. It, along with the "roguelike", has become a crutch that a few too many indie developers are relying on now. But ever so often once comes along that still catches the eye. 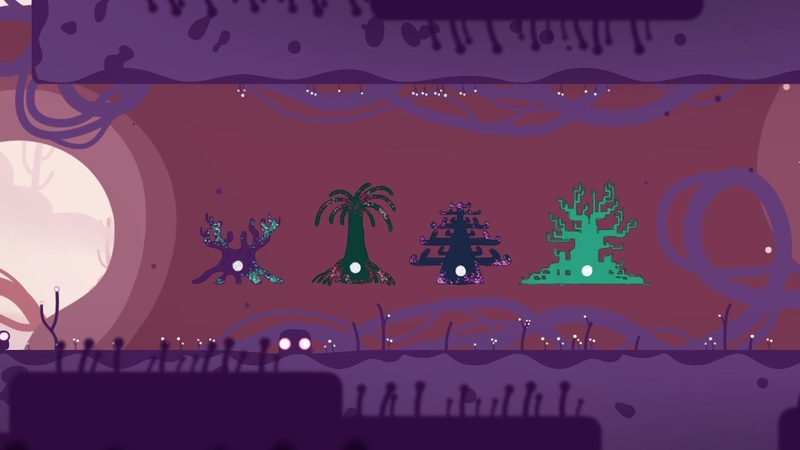 I had a chance to get some hands on time with Semblance on the Nintendo Switch, and it has really caught my eye. The game is simple and elegant. You control a little blob thing that has the ability to "mold" parts of the landscape around it; either raising or lowering parts of the landscape that the blob can then use as platforms or ramps in order to reach new locations. And... that's basically it to the game. The blob also needs to watch out for lasers that will disintegrate it, and can use its ability to manipulate the environment to block those lasers out, and needs to collect a number of glowing orbs through a level. I'm sure that there will be a wider range of challenges introduced in later levels, beyond just the lasers, but I'm told that mechanically the entire game will play out via these base mechanics. Sounds really simple, right? Of course, as a puzzle game, actually working your way around through those limitations can require some solid logical mind-juggling, and solutions to puzzles aren't immediately obvious. 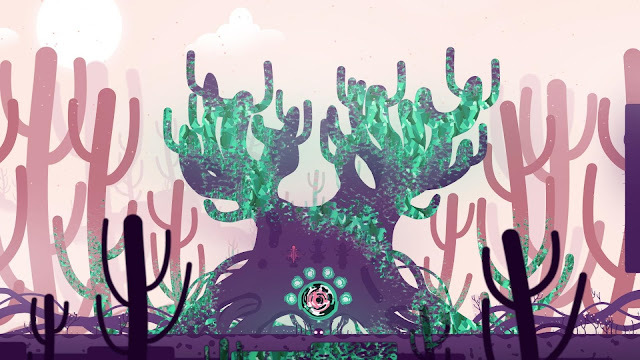 Semblance isn't being pitched as a difficult game, but you're definitely encouraged to experiment around a bit in searching for a solution to each puzzle. We're also promised that the game isn't going to be too demanding on your time. Around four hours from start to finish, and it's possible to skip through most of the game if you're finding any particular puzzle within it to be incomprehensible. The developers wanted you to be able to finish this one, we're told, so they've made sure that you won't find a particular moment within it to be insurmountable to the point that you give up on it. So far, so dime-a-dozen, I know. 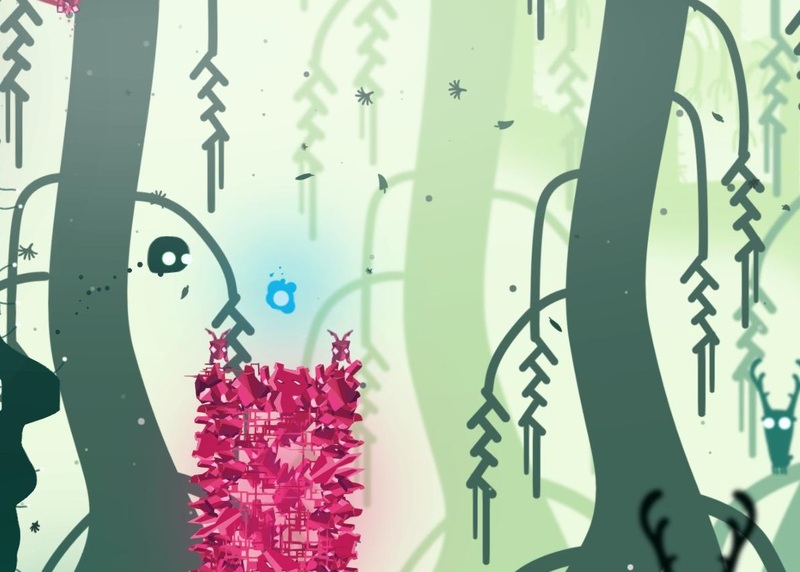 But what really caught my attention with Semblance is the sheer beauty and eye for detail in it. The blob slides, glides, and jumps through the air with the most delightfully subtle sense of personality, and the environments are brimming with colour and vibrancy. If the game looks a little like a student project, that's because that's where the roots of it are, and it certainly has that earnest student sense of beauty to it. That's not a criticism, mind you - I think the game looks gorgeous, and it's always refreshing to see art direction that hasn't been inhibited by years of working to "best practice" briefs and the like. Most importantly of all, though, and the thing that immediately made my ears perk up when I was told as I was playing the demo, is that this game comes to us from a South African developer, Nyamakop. There are still very, very, very few games that come out of any part of Africa. I don't know if there's much of an industry for domestic consumption, but certainly insofar as global publishing and releases go, this is a rare treat indeed. Based on the short demo time I had with the game, I'm not sure how much of South African culture or thinking we'll get in the final product, but I'm certainly hoping that there will be enough in there to point at Semblance and say "this is an example of the emerging game development scenes throughout Africa." The game's getting a release on Nintendo Switch, PC and Mac, and will arrive later this year.